BARCELONA, Spain - 16 February, 2011  Cisco today announced that it is collaborating with the city of Barcelona to initiate a strategic pilot program aimed at advancing the city's vision for sustainable urban development. John Chambers, Cisco chairman and CEO, and Jordi Hereu, the mayor of Barcelona, announced an initiative that will use technology as an enabler to help transform Barcelona into a blueprint for modern urban development. The initiative places the Cisco® Urban Platform Reference Architecture at the heart of the city's Barcelona 2020 vision to become a global reference model for sustainable urban development and the economic engine for Southern Europe. The Cisco Urban Platform Reference Architecture consists of a pervasive physical network infrastructure throughout the streets and public spaces of Barcelona to which devices (such as sensors, information access points and mobile devices) can be connected easily and with a high degree of security. This collaboration is based on Cisco's larger vision of creating sustainable societies using the Cisco Smart+Connected Communities initiative, enabling the transformation of physical communities into connected communities that are primed for sustainable economic growth, a better quality of life for residents, and more environmentally sensitive practices. The initiative offers both strategic and technology expertise in addition to a shared service-delivery platform to enable successful execution. The power of the network as a platform will help enable the piloting of essential services across eight tracks: transportation, real estate, safety and security, utilities, learning, health, sports and entertainment, and government. Initial estimates from Cisco and Barcelona City Council suggest that the initiative has the potential to reduce the capital costs of telecommunications by up to 30 percent, with simultaneous operational savings of as much as 20-30 percent. In addition, it could reduce by as much as 25 percent the costs associated with introducing new city services as well as opening up new revenue channels for the city. A second stage of Barcelona's Smart+Connected Communities initiative would see the possible establishment of a Cisco Innovation Centre in the city once both parties evaluate the results of the first-stage pilot. The aim of the Innovation Centre would be to help create long-term economic growth and jobs through high-tech innovation and entrepreneurship. Cisco provides its technologies via a service-delivery platform to enhance citizens' quality of life, spur economic development and reduce the cost of government operations, and in the process helps revitalise a community and city. The Cisco Innovation Centre would be underpinned by state-of-the-art networked collaboration technologies linking Barcelona to other innovation and technology centres around the world. The pilot project between Cisco and Barcelona extends the collaboration efforts by both Cisco and Barcelona with Metrópolis, the World Association of Great Metropolises focused on urban sustainability. "Since hosting the Olympic Games in 1992, Barcelona has been working towards the ambitious goal of becoming a reference model for urban development as well as the economic engine for Southern Europe. Evolving Barcelona from its strong industrial heritage to a productive and profitable knowledge-based economy, home to innovation and innovative companies, has been, and still is, a major political goal. The results of this ongoing transformation can be seen in suburban areas such as the 22@ District, which in the past was the heart of the Barcelona industrial area and now is the home of new innovative companies and a true living lab for new infrastructures and services." "Barcelona's 2020 vision is a demonstration of the way in which government agencies can work with private companies to spur innovation and growth. We are working alongside governments in Europe, the U.S. and Asia to explore the economic and social opportunities that technology can create within urban communities, and today's announcement places Barcelona among a handful of front-runners around the world." "The world around us is undergoing a major transition. For the first time in human history the majority of the world's population lives in urban areas, and by 2050 at least 100 more cities will have populations exceeding 1 million people. The environmental impact of this massive urbanisation is significant. Cities consume 75 percent of the world's energy and are responsible for 80 percent of greenhouse gas emissions. The need to sustainably balance social, economic and environmental resources is more critical than ever before." "The foundation for the city of the future will be the network and the information it carries, enabling the delivery of vital services from transportation utilities and security to entertainment, education, and healthcare. As cities continue to expand, effective urban management will require integrated and intelligent network technologies to help improve the quality of public services, drive economic growth and manage the impact the city has on the environment. We applaud the leadership shown by the City of Barcelona with this initiative, which has the potential to dramatically change and improve the way the city's inhabitants live, learn, work and play." Cisco, Barcelona, Smart+Connected Communities, Urban Development Reference Architecture, S+CC, urban, urbanisation, city management. 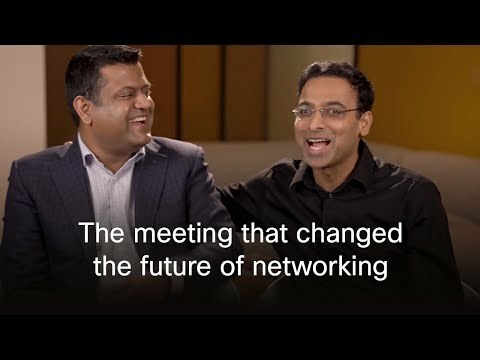 Cisco Smart+Connected Communities uses intelligent networking capabilities to weave together people, services, community assets, and information into a single pervasive solution. "Smart+Connected" acknowledges the essential role of the network as the platform to help transform physical communities to connected communities. It also encapsulates a new way of thinking about how communities are designed, built, managed and renewed to achieve social, economic and environmental sustainability.